According to Hester M. Peirce, commissionaire at the SEC, when the tokens are not being sold as investment contracts, they are not securities. The SEC is working on a guidance in order clarify when securities laws might apply to crypto token sales. 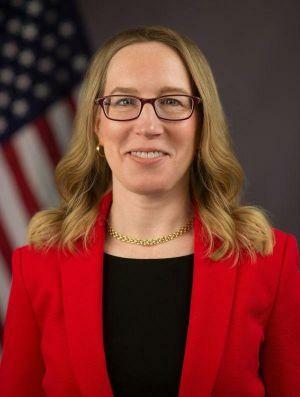 This is a speech by Hester M. Peirce, pro-crypto commissionaire at the US Securities and Exchange Commission (SEC), given at University of Missouri School of Law on February 8, 2019. Thank you, Thom [Lambert], for that kind introduction. I am delighted to be part of this conference, but am sorry that I cannot be there in person. I had high expectations when I picked up Thom’s book on regulation shortly after it first came out several years ago. Those expectations were exceeded by the clear and compelling way in which the book wrestles with the difficulties faced by regulators as they seek to design regulations that solve problems without creating larger problems in the process. As the book explains, “regulation . . . always involves trade-offs. The $64,000 question is how policymakers should proceed to ensure that they strike those trade-offs in a manner that creates as much social welfare as possible.” I appreciate the book even more now that I am sitting in a regulator’s seat. Incidentally, as a regulator, I must give the standard disclaimer that the views I express today are my own and do not necessarily represent those of the Securities and Exchange Commission or my fellow Commissioners. Because of the central role the markets we regulate play in ensuring that the rest of the economy is funded, we need to be open to innovations that will make the capital markets function better and serve parts of the population that were previously not able to access those markets. Can we, for example, look for ways for unaccredited investors to pool their resources to invest in private companies? Can we change rules that mandate the use of outdated technology in, for example, our recordkeeping rules so that financial institutions can incorporate new technology and thus lower the costs of the services they provide? Can we allow more experimentation in the way that funds and investment advisers communicate with investors? Can we reexamine our assumptions about the types and methods of disclosure we require in light of the enormous changes in communication technology that have occurred since the federal securities laws were written in the 1930s? Can we permit more issuer communication with investors, which perhaps could open the door to a back-and-forth style of disclosure facilitated by online chats and message boards? These and other innovations in the capital markets often require regulatory approvals or regulatory forbearance, both of which my agency historically has been slow to provide. Blockchain-based networks offer a new way of coordinating human action that does not fit as neatly within our securities framework. Satoshi Nakamoto, in the white paper that introduced bitcoin to the world, envisioned a “network [that] is robust in its unstructured simplicity.” Uncoordinated nodes work together toward a common end “with little coordination.” Other blockchain projects likewise seek to build networks that operate organically, without a central organizer. Some projects seek to facilitate various forms of authentication to replace traditional recordkeeping transactions or to allow individuals to interact without using trusted intermediaries. The objective of many of these blockchain projects is to build networks that run on diffuse contributions, rather than to create centralized entities that run networks. In the end, there may not be anyone steering the ship. Director Hinman’s speech has provided a useful framework within which people can analyze their token offerings in connection with the securities laws. The staff is working on some supplemental guidance to help people think through whether their crypto-fundraising efforts fall under the securities laws. 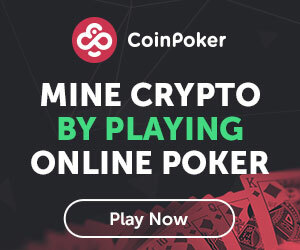 There is also a standing offer for people to come in for so-called no-action relief in connection with a particular token or project. The applicant for no-action relief lays out the parameters of what it is trying to do, and the SEC staff can respond by saying that it would not recommend an enforcement action to the Commission based on the parameters set forth in the request for relief. Crespo, Gisela “Man Gets Stuck in ATM and Slips ‘Help Me’ Notes through Receipt Slot,” CNN (Jul. 14, 2017) available at www.cnn.com/2017/07/13/us/repairman-stuck-in-atm-room-trnd/index.html. Basis Blog, Dec. 13, 2018, available at www.basis.io.